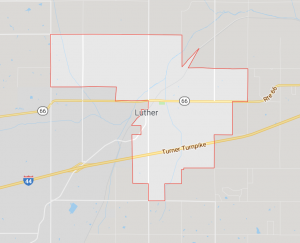 Luther Town Trustee Trandy Langston was elected less than two years ago and is part way through her term on the town’s governing board. 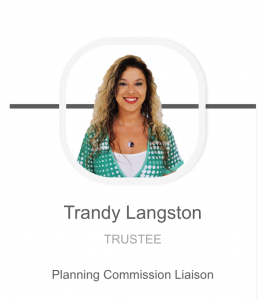 She is Trustee 3 in our series reflecting on board accomplishments and challenges. Two seats on the board will be open, and filing for the office is Feb. 4 – 6, 2019, at the Oklahoma County Election Board. The election is in April. Langston responded to an email request to list accomplishments, challenges and some reflection about serving. Why do we do this? Because we love and believe in this town. Not one of us want anything but better for the town. OUR town deserves it,” said Langston. Please list top three accomplishments. Trandy Langston: 1. Preparing (and filing on time) and sticking to our budget. I feel this in itself needs no explanation as to why it’s in my top three. 2. Updating, and enforcing code/ordinances. While I know there are many many more that need updating, I feel that we’re moving in the right direction. The importance of following code is vital in order to make sure the town is moving forward effectively and efficiently. 3. Organization. Items such as updating policies and procedures for all aspects of the town will also ensure that for the future the is a plan set in place so that when our time comes to move on, all personnel can continue on with their daily routines without question. Langston: “When campaigning I had initially spoke of annexation and growth. While those things are still on my mind, I feel that there is so much we need to fix in our “own back yard” before moving forward in that direction. What is something you wish the public knew? Langston: “I had no idea when running for town trustee what all that entailed. I’ve made friends and I’ve lost friends. Trust me, I’ve since discovered this is no easy task. Many many hours have been spent researching, training, learning, etc., all for a job that we seek no payment from. Why do we do this? Because we love and believe in this town. Not one of us want anything but better for the town. OUR town deserves it. Check here for other stories in the series on Trustee Cavin and Trustee Jackson. We’ll conclude the series with feedback from Trustee White and Trustee Roach. I find it sad that she has lost friends. Agreeing to disagree has become a lost art and we are all the poorer for it. Has the town faced any issue from which friendships should end? I doubt it. I think the town is doing a great job. Keep it up. 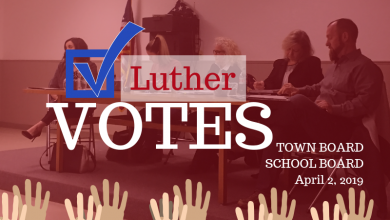 Luther is better for your service. Thank you.